How many delegates can attend..? We can deliver training for up to a maximum of 20 delegates, per course, per day. Please call us to discuss your needs and requirements. In order to comply with current Driver CPC legislation, delegates must undergo a minimum of 7 hours training per day/course. With morning and afternoon breaks including lunch, the course duration is around 8 hours. Play a quick video on Driver CPC basics. The Driver CPC directive has been introduced to increase skills of the professional drivers, to ensure they are as safe as possible whilst on the road working.Our Approved driver CPC certification covering Burnley, Nelson, Colne, Accrington, Blackburn, and Clitheroe within Lancashire can be delivered on your site nationally or at our Lancashire / Yorkshire training center. 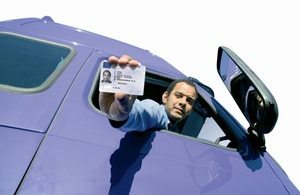 The driver CPC Qualification covering Burnley, Nelson, Colne, Accrington, Blackburn, Clitheroe is for drivers and company’s operating vehicles over 3.5 ton, like minibuses, large vans and tippers, and of course trucks and buses. As a driver, you were legally required to complete the 35 hours of periodic Driver CPC certification by September 2014, and thereafter annually, if you wish to continue to drive legally. Accessible Ltd are part of the Driver Cpc Consortium, covering Burnley, Nelson, Colne, Accrington, Blackburn, Clitheroe within Lancashire. The driver cpc consortium are the leading training deliverer of Driver CPC certification in the uk , to many large hauliers and blue chip organisations and provide modern, interactive and up to date Driver CPC Qualifications, with 32 modules available that can be delivered with specifics of your company’s operational needs, to further improve your drivers efficiency, to streamline your operation. Driver CPC Training in lancashire, Get Qualified, Stay Qualified, standard and bespoke Driver Cpc training courses available either on site around Lancashire or at our training center, covering Colne, Nelson, Burnley, Clitheroe, Accrington, Blackburn.call our lancashire training centre now, 01282 504455.